Join us as we unite the different aspects of San Francisco’s unique nightlife into an unforgettable experience. In Minna’s 2nd street room, GET DOWN and PARTY to some of San Francisco’s best DJs Boogie Brown, Geek To The Beat, CO2 and Prince Aries will be playing your favorites. 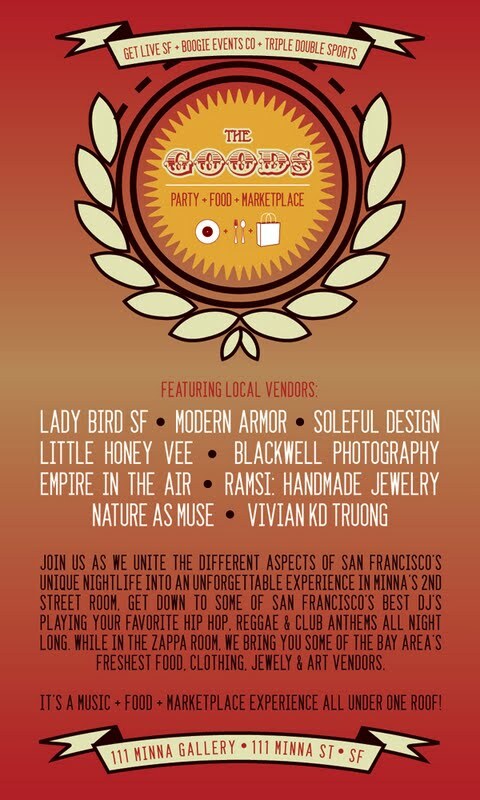 While in The Zappa Room, we bring to you some of the Bay Area’s freshest clothing, art and jewelry vendors!